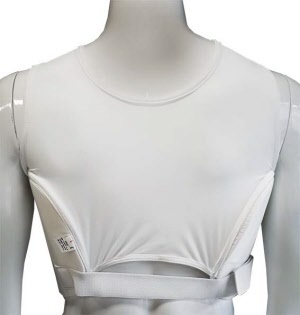 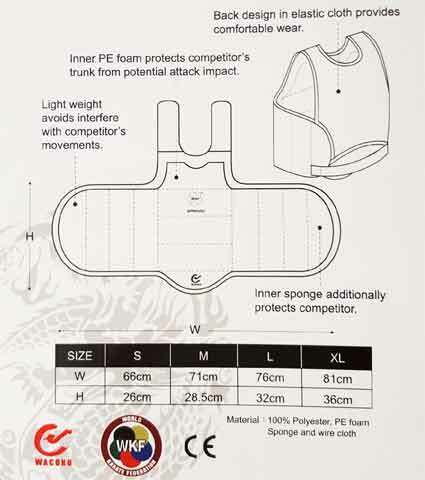 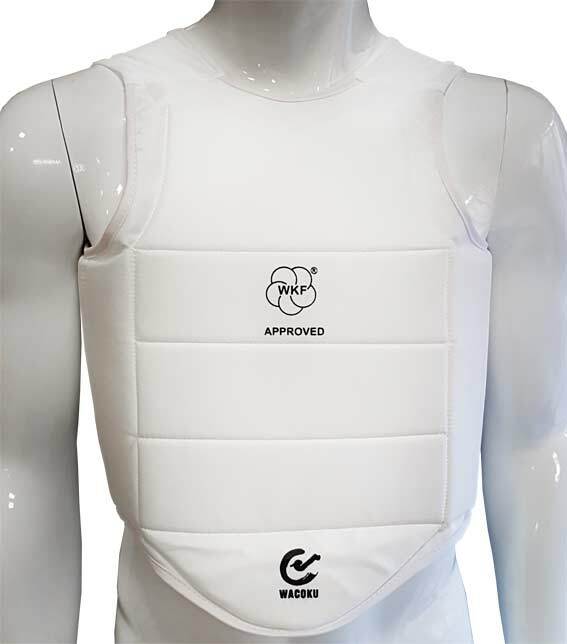 Karate chestguard for male and female World Karate Federation competitions. 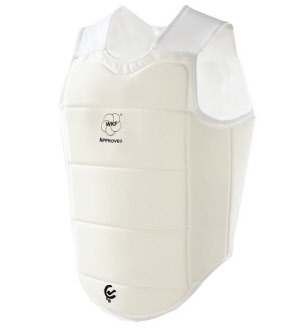 Protects against blows and strikes to the chest. Elasticated back panel and strap at the back. Lightweight to wear under any karate suit.